You will be happy that moving in day has arrived, but it is very important to know what you need to do. Moving to a new house can be a very busy and exciting time, this means it can be very easy to forget what to do. Do not let emotions run high. 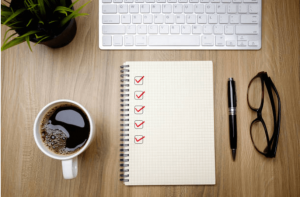 It will be easier if you have a checklist of things that you need to do and hopefully, this list will help. Notify your suppliers before you move that you are moving to a new house and when, as you do not want to be paying for someone else’s usage! You also should check what the meters say when you arrive at your new house. Taking a photograph of them at the time is good evidence of what the readings were. This is to ensure that the previous owners have paid for their usage. Most utility companies make it easy for us. They are likely to have the change of address forms on their website. This might also be a good time to choose to move provider. You don’t need to stay with the same company that the old owners had, and if you think you can get a better deal elsewhere, now is the time to move. This is something most people tend to forget. However, it is probably the most important thing you need to do for the sake of security. You never know who was given a spare key to the property by the previous owners. Perhaps they gave keys to several family members and neighbors and forgot to get them back. Book a locksmith to change all your locks for the day after you move in. It’s probably not a good idea to do it on the same day, as you might not get access to the property until late afternoon. Check that everything has been left that should have been left and that it is all in good condition. The lettings agent should give you a copy of the inventory, which is a list of items that the landlord or estate agent will provide you with. It should also make a note of any existing problems with the property such as a crack in the fireplace. When you get to the property take a walk around and make a note of whether there are any issues with the inventory, for example, anything that should be in the property that is not there or any damage that has not been properly recorded. It might be a good idea to take a photograph of any existing damage, so there can be no doubt as to its extent. If you do find that the inventory is wrong because for example, something is missing or not properly recorded, notify the agent as quickly as possible in writing. Where possible, get their consent that your records are correct. Then remember to keep the inventory in a safe place, so that when you move out, you have a clear record of what was agreed. When you walk into the house check that everything is in working order. Walk into the property and check the lights and plug sockets and plumbing. Hopefully, everything is in working order. If it isn’t, and the property is rented, contact the agent straight away to make sure they arrange for it to be fixed. If you have bought the property then it is “sold as seen” and you cannot necessarily make a claim for anything that doesn’t work, but if you can show that the owners damaged something whilst moving out (such as their removal company breaking a window) then you may be able to make a claim against them. In addition, you should find where your fuse box is located. For example, if your electricity blows, you do not want to go around the house with a torch searching for it. It is also a good idea to label the switches on the fuse box once you find it so that you know exactly where everything is. Along with checking the electricity, you should also locate your water stopcock as soon as you move in, or perhaps ask the outgoing owners to tell you where it is before you complete. This is important because if there is an emergency situation you will know where you can turn off the water coming into your house easily. Checking for leaks when you move in can be difficult as you probably won’t discover any leaks until you decide to take a bath or there is some heavy downpour of rain. It is still a good idea to walk around your new property and check for any leaks. Issues like leaks are something you will want to get fixed right away as leaks can lead to numerous problems such as damp. Also, you should check for any structural problems or condensation beside the windows or anything else which might not have been spotted earlier on inspection. Hopefully, your surveyor will have identified any of these before you bought the property but sometimes things can be hidden by the original owner’s furniture, so make sure you check whilst the property is empty. Think about the post you have received over the last few weeks and make a list of all the places which need the address changing. You do not want to be moving in and not know what is in each box. Label the boxes that have fragile items in, this means the removal company will know to take extra care with these boxes. TIP: Remember whatever goes in the removal van first will be coming out last. You could do an essential box which goes in last and has everything you will need straight away. You will need to inform the Local Authority so that you can pay your council tax. If you don’t do this straight away it will be backlogged from the day you moved in. You should aim to contact your local council to arrange to have wheelie bins delivered to your new home as soon as possible if it’s a new build. Also, it is important to find out when your bin days are so that you know when your bins will get collected. It might take a good few weeks to get an engineer to your home to set up your broadband. Hence, it is a good idea to set up an appointment with an engineer as early as you move in so that you do not have to stay without any broadband connection for a long time. If your new house does not come with a door number, you should order one as soon as you have exchanged contracts so that it is ready to put up immediately after you move in. 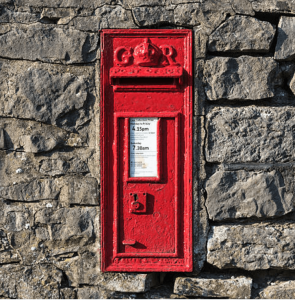 This can ensure that the postman and delivery firms can find you. Replacing the batteries in the smoke detectors could be life-saving and, unfortunately, this is quite often overlooked. You really do not want the first time you find out the smoke detectors batteries are not working to be when you are in an emergency situation. New batteries can cost you only a few pounds and they can really save your life in an emergency. In addition, you should check anything else that works on batteries such as the doorbell or the burglar alarm and replace them if they need to. instruction manuals and guarantees for every electric appliance. You should also receive confirmation of registration of title at the Land Registry within a couple of months of completion of your property purchase from your conveyancing solicitor. If you do not receive any such confirmation, you should chase it up with your solicitor. When you get to the end of the checklist you will be happy that move in day is over! This is just when the fun begins, time to unpack all those boxes and make your property homely.